Wine has been an important part of any occasion. It is commonly made from fermented grape juice, flowers, and grains. Countries like Italy, Portugal, United States, and Argentina are among the largest exporters of different wines. The most expensive kind of wine is called “vintage”. Vintage wines are made from the highest quality grapes that are harvested several years before they are sold to the public. While some wines are very expensive, there are some of good quality and that are relatively inexpensive. 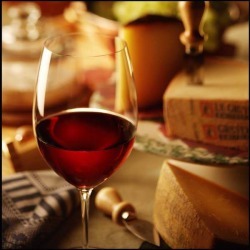 Among these wines are homemade wines that are commonly served to show old English hospitality. 1.Get fresh produce from fields and orchards that let buyers pick their own fruits. Another option is getting fruit concentrate being sold by local winemaking stores. 2.Buy equipment needed in home winemaking. These are fermentation locks, Demijohns, plastic funnels, trial jars, siphon tubes, and wine bottles with corks. 3.Gather necessary ingredients to put flavor and a distinct taste to the wine. These are yeast, pectic enzyme, wine tannin, acid blend, and campden tablets. 4.Get recipies of the favorite wines to have accurate information about the exact amount of ingredients to use. The tip in making the best wine is accurately mixing ingredients to achieve desired taste. 5.Use fermentation bags in collecting pulp and submerge it into the wine mixture. Set aside covered fermenter within 24 hours. 6.Put yeast on the grape juice surface and cover it. Let the mixture ferment within 7 days. 7.After 7 days, discard pulp and siphon the mixture to prepare for secondary fermenter. 8.Add water to the wine mixture and allow it to ferment for 4-6 weeks or until it appears completely clear. Use hydrometer to make sure fermentation has been completed. Hydrometer should show 0.989 and 0.990 on its gravity scale. 9.The wine should be cleared completely after following the first 8 steps. After that, siphon the wine and add five crushed campden tablets. 10.Bottle the homemade wine and let it age. Today, the best wines on the market are home made. They are surprisingly delicious and inexpensive. Anyone can make wine by simply following these 10 basic steps and then you can start impressing friends and family members during get-togethers.